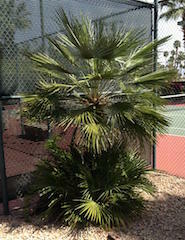 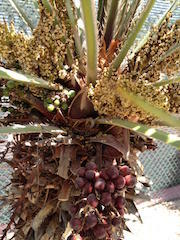 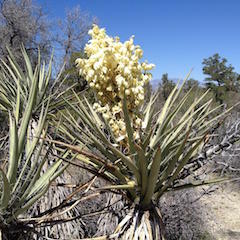 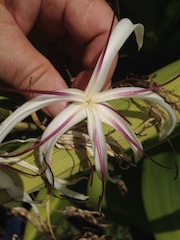 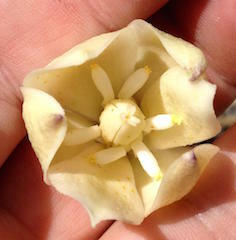 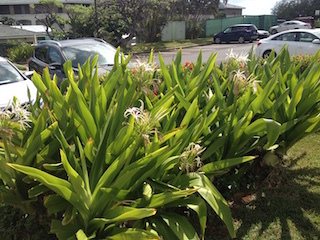 All the Lily Family (Liliaceae), Palm Family (Arecaceae), Asparagaceae, and Ginkgoaceae are monocolpate. 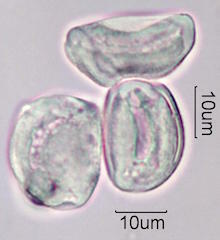 Monocolpate Pollen with Longest Dimension 40 micrometers or less. 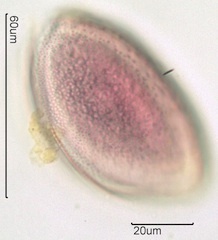 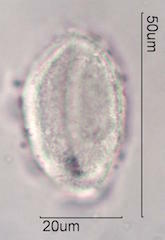 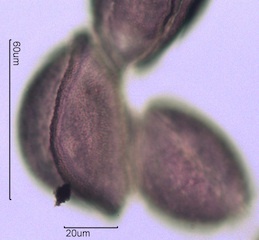 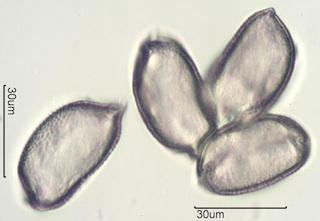 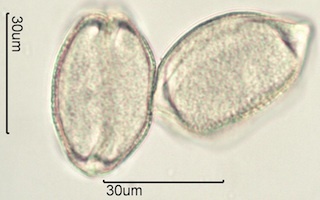 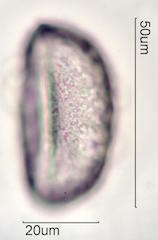 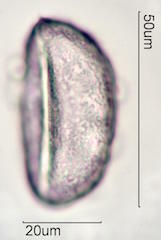 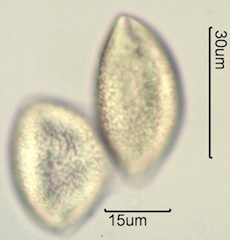 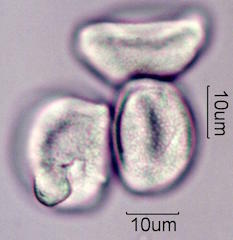 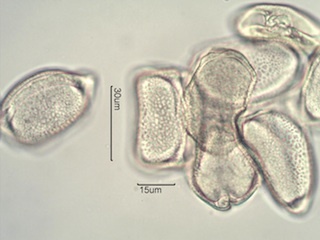 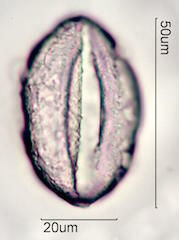 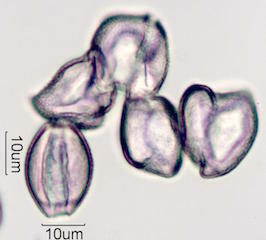 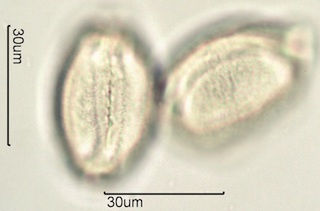 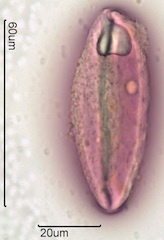 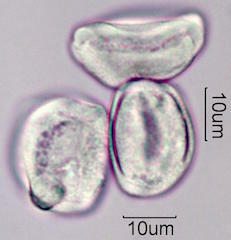 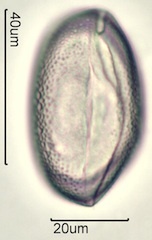 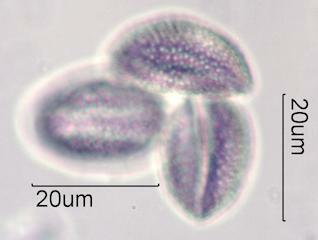 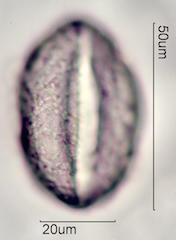 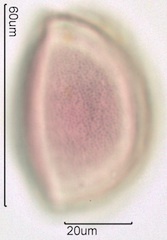 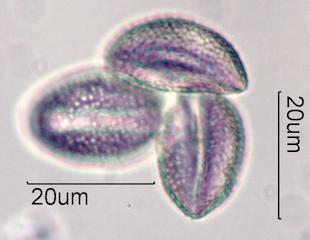 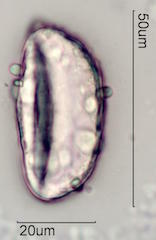 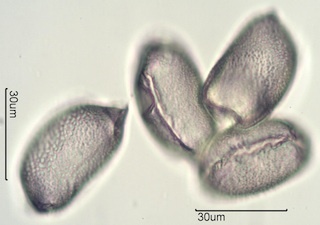 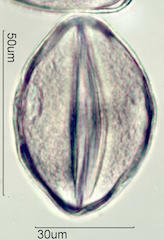 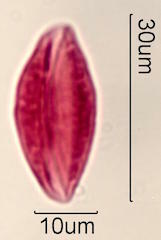 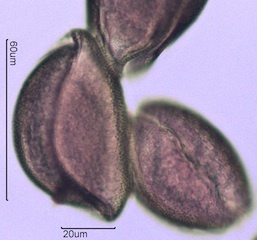 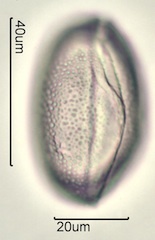 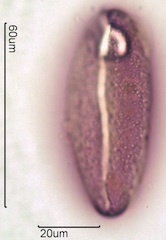 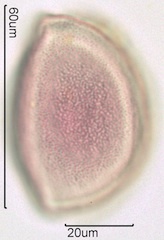 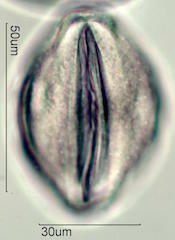 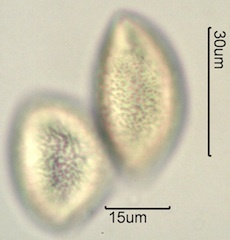 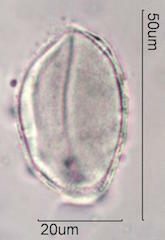 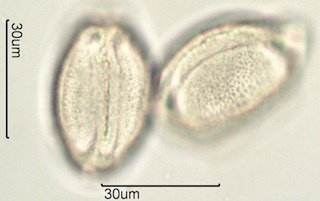 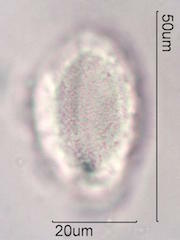 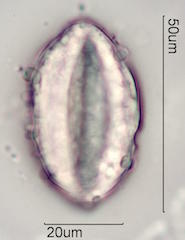 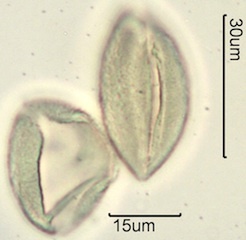 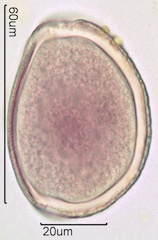 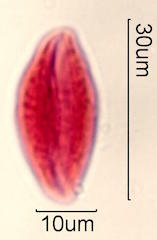 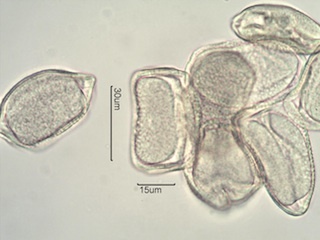 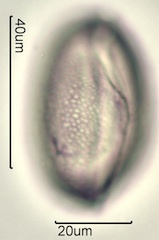 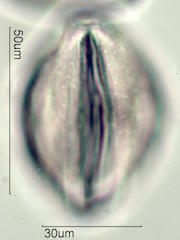 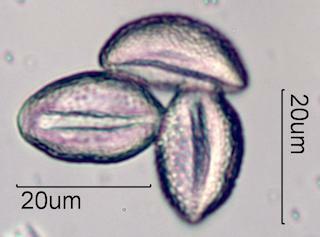 Monocolpate Pollen with Longest Dimension over 40 micrometers.